The youngest of Sir Sayer de Rochford of Fenne’s prominent sons, John de Rochford the Younger, first appears on record in 1376. The register of the Boston Guild of Corpus Christi records that in that year he and his wife Alice joined the Guild, just as his late father and eldest brother had done before him. Confusingly, John’s eldest brother was also called John. If this sounds odd, note that it was not unknown at the time for siblings to share a name; and for the most part these two can easily be distinguished from one another in contemporary records. The older John was already knighted when the younger was born, and he was almost always called “Sir John de Rochford” or “John de Rochford, knight” in the records of the time. For clarity I refer to him as Sir John de Rochford II of Fenne. As the eldest son, he was heir-apparent to the ancestral family estates. The younger John, the subject of this biography, meanwhile, was usually called “John de Rochford the Younger” or “John de Rochford of Boston” in contemporary records. There are some records where the distinguishing details are missing – in particular, lists of men appointed to royal commissions in the Patent Rolls. But in these cases it is usually clear who was being referred to by their position in the list and thus their relative status. Sir John, as a knight, would be named before all men on the commission who were not knights, whereas John the Younger would be named among them. This applies until about 1399, when John the Younger himself was knighted and thereafter usually known as “Sir John de Rochford” just as his older brother had been – an obvious source of further confusion that is cleared up only with the knowledge that the older Sir John had died between 1392 and 1396. Returning to John the Younger’s early life: about a year after he joined the Boston Guild of Corpus Christi, on 6 February 1377 he joined another older brother, Sir Ralph de Rochford of Walpole, as a commissioner of the walls and ditches in Marshland Hundred, Norfolk. John’s name appears very low in the pecking order for this commission, after a couple of clerks; but as a younger son he might have been considered lucky to be on a royal commission at all. The opportunity to learn the ropes with Sir Ralph, who was an experienced royal commissioner and some 20-25 years older than him, must have been useful. Perhaps his appointment was under the growing influence of their eldest brother, who had just been elected to parliament, or of the increasingly powerful John of Gaunt, whose patronage would soon play a pivotal role in the fortunes of the family. If John the Younger was of age by this time, he must have been born by about 1357. In fact, an inquisition post mortem into the estates of the late Sir Roger Hillary taken in 1403 (with clarification from a court case of 1422) confirms that John was born around 1354-1357 and that his mother was Sir Roger’s sister Joan Hillary, who Sayer had married by 1348. Roger had died leaving no children and his estates were to be split between the heirs of Joan and another sister, Elizabeth, both of whom were dead. Joan’s heir was “John son of Saer de Rochefort, knight, junior” who was “aged forty years and more”, while Elizabeth’s heir was her daughter Elizabeth aged “fifty years and more”. Assuming John was therefore 40-49 years old, he was born in or after 1354. So John the Younger was in his early twenties when he was appointed to his first commission. In November 1379 he was appointed to another commission with his brother Ralph, this time to find out who had been harassing the Boston Friars Preachers in their beds at night “so that they were obliged to ring their bells to raise the commonalty of the town to come to their aid”, and arrest the accused. But in early 1380 the commission was dissolved and the brothers and their colleagues were ordered to free anyone imprisoned by it. While their eldest brother, Sir John, lived at the family’s ancestral home at Fenne, and Sir Ralph was based at Walpole in Norfolk, John the Younger lived in Boston itself where he associated with the wealthy merchants. Unusually for a younger brother, he appears to have been extremely wealthy himself early in life. The 1381 poll tax return for Boston put his assessment at ten shillings – the largest figure by far of the 1,594 tax payers in the town, and second only in Skirbeck wapentake to his eldest brother’s payment of 13s 4d. The tax return also stated that John the Younger had a wife named Joan. This seems to have been a clerical error, perhaps intended for his mother who was by now a widow. Some time between June 1381 and June 1382 John de Rochford the Younger and his wife Alice – not Joan – came to some agreement with his maternal uncle Sir Roger Hillary over the manor of East Bergholt in Suffolk. Alice was still alive in 1398, and John asked to be buried beside her in his will in 1410. The arms of the Rochfords and the Fastolfs impaled, as described in the Norfolk Visitations of 1563-1613 for John de Rochford the Younger and his wife Alice. If correct, Alice must have been a Fastolf. There is no known primary evidence to confirm who Alice was, but she seems to have had local family connections, as in 1381 and 1388 she was involved in various court cases as executrix of the will of Richard de Neuton, another Boston merchant. It has been said that she was a Hastings, but there is no evidence to support this – it appears to be a mix up with John’s brother John the elder. Meanwhile, there is a tenuous clue in the Norfolk Visitations of 1563-1613, which correctly states under an entry for the Tilney family that one of John’s daughters, Margaret, would marry Frederick de Tilney, a son of Philip de Tilney, with whom John struck up a close relationship during his time at Boston. The entry also records arms for “Rochford and his wife – Quarterly or and gules, a bordure sable bezantee; impaling, Quarterly or and azure, on a bend gules three escallops argent”. The first blazon, Quarterly or and gules, a border sable bezanty, is the Rochfords’ coat of arms. The second, impaling it to indicate marriage, Quarterly or and azure, on a bend gules three escallops argent – quarters of gold and blue, with a red diagonal stripe over the top with three silver shells on it – is best known as the arms of the Fastolf family of Great Yarmouth on the east coast of Norfolk. If the visitation was accurate, Alice must have been a member of that family, but there is no other evidence to weigh in on the matter. The Register of the Guild of Corpus Christi, Boston. This page records the membership of John de Rochford the Younger’s father, Sir Sayer, in 1343. John himself became alderman of the guild for many years. The register is now in the British Library (BL Harley MS 4795). In 1380 John the Younger had been appointed as one of the two chamberlains or treasurers to the Corpus Christi guild, and he must have done a fine job as in 1381 the members chose him as their alderman, the chief official of the guild. He would continue in this role until 1386 when he was succeeded by Sir Philip de Tilney, but he would later hold the office again from 1391 to 1394, then from 1397 to 1399, and finally in 1409. John cannot have been more than 27 years old when he was first appointed as alderman, and the role would have brought him many useful connections. On 3 November the same year he stood surety for the Boston merchant John Bell and John de Swyn to have them freed from arrest. Bell was also a member of the guild and would be a close associate of the Rochfords into the 1400s. The 1381 poll tax was the trigger for the Peasants’ Revolt. Sir John de Rochford, who had been made a commissioner of array and a justice of the peace in 1380, was sent to deal with the Lincolnshire rebels in July and December 1381. In March the next year, as the insurgency lingered on, John the Younger was appointed to join his older brother in keeping the peace in Lincolnshire, and “to arrest, imprison and punish such rebels and any who incite rebellion” using an armed force of knights and esquires if necessary. In December their commission was renewed, and Sir John and John the Younger were appointed as justices of the peace together for the Parts of Kesteven and Holland respectively. These were John the Younger’s first royal commissions since the abortive investigation into who broke into the Friars Preachers’ house in 1379. They mark the start of a remarkable lifelong career in royal service with hardly a break: by the time he died in 1410, John could count more than fifty individual commissions to his name. After 1382, John the Younger was appointed as a justice of the peace in Lincolnshire a further eight times – in 1388, 1390, 1397, 1398, 1399, 1401, 1406 and 1410 – mostly for the Parts of Holland and occasionally for Kesteven and Lindsey. He also followed in his father’s and brother Sir Ralph’s footsteps, serving on numerous commissions of the walls and ditches, most of them in Lincolnshire, some in Norfolk and a few in Cambridgeshire. These were in 1386, 1390, 1392, 1394, 1395, 1399, 1405, 1406, 1407, 1408 and 1410. In the later years he was often appointed to two such commissions in different counties at the same time, bringing his total to fifteen. To add to this, John also served on some twenty-odd ad-hoc royal commissions during this period. By early 1385 the French were planning an all-out invasion of England. Amid fears of an imminent attack, the English crown fired commissions off to every corner of the country, including to John de Rochford the Younger and others in the Parts of Holland, “to array all men-at-arms, armed men and archers … and distrain all who in lands and goods are capable but by feebleness of body incapable of labour … to contribute to the expenses of those who will thus labour in defence of the realm … Moreover the signs called ‘Bekyns’ are to be placed in the accustomed spots to warn people of the coming of the enemy”. John the Younger would be appointed to a few more commissions of array, in 1399, 1402 and 1403, and even join one or two military expeditions. But in stark contrast to the rest of the Rochford family, he did not get much involved in war: he seems to have been far more interested in trade, justice and religion. John must have inherited these traits from his mother’s father, Sir Roger Hillary, a lawyer who had risen to become a chief justice of the Common Pleas. Aptly, many of John’s ad-hoc royal commissions were connected with Boston and local trade. At some point in 1385 he was appointed to a “special assize”, and on 24 November that year he and other “merchants of England, complaining of the unjust arrest and detention in Prussia, by merchants of that country, of their goods and merchandise to the value of £20,000” were instructed by the crown to retailate by detaining all Prussian merchants’ goods in ports from London to Boston: it was a trade war. In a sign of his growing influence among local merchants, on 26 July 1386 John the Younger was elected Mayor of the Staple of Boston. He was about thirty years old. His constables were Richard de Northwood and John Bell – he had stood surety for the latter in 1381, and just a few months before, in May 1386, he and Philip de Tilney had helped a chaplain named John de Barton acquire some property in the town from John Bell and his wife, Isabella. Soon after, on 22 September, the king sent instructions to John de Rochford the Younger – now often called “of Boston” – and Philip de Tilney and others to assess and levy a loan of 200 marks from the town, perhaps to help fund the punishing costs of war. A few days later, on 25 September, the king instructed John’s brothers Sir John and Sir Ralph to control the escalating prices of arms, armour and horses in their neighbourhood. The French had struggled to get their expedition off the ground in 1385, but by autumn 1386 the threat of invasion was greater than ever. Meanwhile, John of Gaunt had left for Castile to pursue his hopes for the throne there, and Richard II’s fragile reign began to fall apart. The Lords Appellant staged their coup, and in March 1388 John de Rochford the Younger appeared alongside his brothers and his nephew Henry de Rochford in swearing allegiance to them at the Merciless Parliament. A number of Richard’s favourites and supporters were executed that year. Gaunt’s own son, Henry Bolingbroke, the earl of Derby and heir to the duchy of Lancaster, was among the leaders of the Lords Appellant, and it is perhaps out of loyalty to him that the Rochfords supported their actions. After all, they could not have known when, or even whether, Gaunt would return, or how he would react. Many of the Rochfords’ Lincolnshire associates swore to support the Lords Appellant too: the Skipwiths, Leakes, Claymonds, Spaignes and John Bell, to name a few. On 24 May, while parliament was still sitting, John the Younger and his brother Sir Ralph de Rochford of Walpole undertook a commission to investigate a dispute over the manor of Denver in Norfolk. Later in the year, in September, a case that he and others had against Walter Couper of Spalding was quashed. In February 1389 John and Philip de Tilney, who was then alderman of the Guild of Corpus Christi, took the precaution of having the royal licences from Edward III for the founding of the guild reviewed and admitted into the Patent Rolls. And in February the next year John and a host of others gained royal licences to grant property to Barlings Abbey, where he would one day be buried. 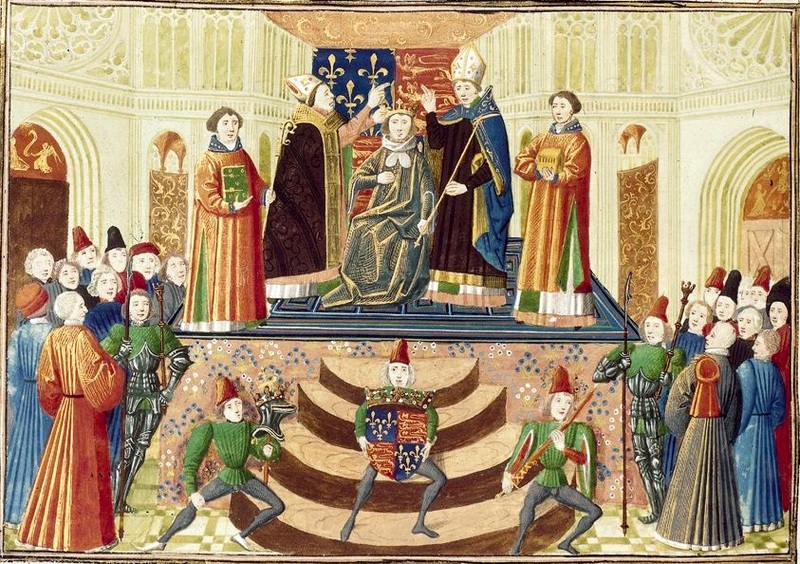 By the end of the decade Richard II was able to restore royal authority with the support of John of Gaunt, who had returned crownless from Castile in 1389. The Lords Appellant were treated with surprising leniency and peace was maintained until 1397, when the increasingly tyrannous king set about a calculated revenge. It would prove to be his undoing. If the 1380s had been a brilliant decade for John Younger, the 1390s got off to a remarkable start. In 1390 he was elected as one of two knights of the shire to represent Lincolnshire in parliament in November that year – although he would not actually be knighted until the end of the century. The other representative was Sir John Bussy, another prominent member of John of Gaunt’s group who had sworn allegiance to the Lords Appellant in 1388. Bussy had probably been at the 1378 siege of St Malo with John de Rochford’s brothers Sir John and Sir Ralph. The next year John the Younger was re-elected as alderman of the Corpus Christi guild, and in May 1392 he was able to gain a royal licence for his colleague and friend Philip de Tilney and others to grant property worth £20 a year to the guild. By this time John’s two aging eldest brothers were both in or close to their sixties. He undertook two further commissions with the eldest, Sir John – one in May 1391, and the other in May the following year. Both were to deal with several chaplains serving local fraternities and secular individuals, who “maliciously resist and refuse to obey” the vicars of their parish churches, “and have induced their masters and abettors to beat and wound” these vicars, “and insult and threaten them with death, so that they cannot attend to their duties”. Between these two investigations, one of the John de Rochfords – it is not certain which – was appointed as sheriff of Lincolnshire and instructed to investigate allegations that “certain of the king’s lieges” had been involved in counterfeiting the king’s seal at Lincoln. This was a serious matter – the crime was a form of treason. Sir John’s involvement in the May 1392 investigation with John the Younger is the last certain record of him alive. The last record of Sir Ralph alive is a final commission of the walls and ditches in July 1391. It seems that soon after this, both passed away. After this point John the Younger was only called “the Younger” in records that referred to the past. The Guildhall in Boston, built in the 1390s by John de Rochford the Younger and his associates for their newly-incorporated Guild of St Mary. Copperplate about 1820, from Pishey Thompson’s Boston (p235). In September 1392 John de Rochford (now no longer “the Younger”) clubbed together with Philip de Tilney, John Bell, William de Spaigne and others, with £40 cash in hand, to gain a royal licence to found a new Guild of St Mary in Boston. They were all tenants of Richard II’s wife, Queen Anne. She persuaded the king to give his consent and was duly nominated as foundress of the new guild. On 5 March the next year John, Philip de Tilney, John Bussy (with whom John had served as a knight of the shire) and Walter Tailboys were appointed to sort out a row between the church, the commonalty and “some of the more worthy citizens” of Lincoln over the election of a new mayor and bailiffs. The task must have looked like political suicide, as they soon wrote back that “without authority of the king’s special command they dared not take upon them that charge because of divers doubts and other perils which might arise in time to come”. The king determined to have the matter settled before him personally. Soon after John was appointed to a commission to look into the use of fraudulent weights and measures in Lincoln. And at the turn of the year he and Sir John Bussy were once more elected as Lincolnshire’s knights of the shire for the parliament of January-March 1394. On this occasion Bussy was also elected as Speaker of the House. John de Rochford and Bussy’s relationship was not purely political. Later that year Bussy, together with John’s nephew Sir Ralph Rochford III, John of Gaunt, the bishop of Salisbury and others became trustees of the manor of Little Thetford near Ely in Cambridgeshire. This property was to be the inheritance of Frederick de Tilney, the son of John de Rochford’s late friend Philip de Tilney, and John’s own daughter Margaret. Frederick and Margaret were married, but they were still very young and John was to hold the property in trust for them for eight years, after which presumably they would be old enough to have it for themselves. Further evidence of the Rochfords’ association with the Bussys could be seen in the latter’s home church, where the arms of the two families once appeared together, alongside those of Sir John Bussy’s mother’s family, the Paynells, and others with whom they were connected. John de Rochford did not deal much in property for himself, but he often supported family members and associates in their own dealings. In 1381 he had been involved in his brother Sir Ralph’s purchase of property in Hagworthingham, while in 1382 he witnessed an agreement between Sir John de Toutheby and two Boston men. Between 1389 and 1394 John was involved in several transactions of Sir Henry Hasty’s estates in Heckington, Great Hale, Little Hale and elsewhere, presumably as a trustee. In 1389 he was party to a transaction between a clerk, Robert de Whitby, on the one side, and William son of Thomas de Wainfleet and Christian his wife on the other. And in 1393 he was involved in a deal between the chaplain John de Barton, and Ralph de Derby and Elizabeth his wife, regarding property in Benington, Leverton, Skirbeck and Freiston. For unknown reasons, for the three years after 1394 John de Rochford was replaced as alderman of the Corpus Christi guild, and he was appointed to no royal commissions other than a single commission of the walls and ditches in May 1395. The next record of him after this is not for two years. Perhaps John had fallen out of favour, or perhaps he was abroad. Several sixteenth- and seventeenth-century writers referred to “his noble birth, great learning” and “large travel through France and Italy”. If true, it may be during this period that John toured the continent. Whatever the reason for the hiatus, things began to get back to normal in 1397: John was re-elected as alderman, in July he was appointed as a justice of the peace for the Parts of Holland, and in autumn he represented Lincolnshire at parliament with Sir John Bussy for a third time. By this time Richard II had fully recovered royal authority and his conciliatory demeanor was gone. Bussy, who was Speaker again, turned against the former Lords Appellant to become a fearsome proponent of the king’s revenge. Bussy swiftly persuaded the Commons to repeal the Lords Appellant’s royal pardons, and by the end of the next year they were all executed, imprisoned or in exile. Henry Bolingbroke was banished from England for ten years. In December 1397 John de Rochford was appointed to deal with “the assembling in divers conventicles in divers parts of the county of Lincoln of disturbers of the peace armed and in warlike array, who have assaulted the men and servants of John bishop of Lincoln”. In February the next year John de Rochford was reappointed as a justice of the peace in Lincolnshire, and on 2 June 1398 he was instructed to return possessions belonging to the vicar of Sibsey that he had previously been told to seize, as it turned out that the vicar had been falsely accused by his brother of whatever it was he was supposed to have done wrong. Around this time John and his wife Alice received papal indults – permission – from St Peter’s in Rome to have a portable alter so they could pray on the move, and also “that the confessor of their choice may grant them, being penitent … plenary remission in the hour of death”. This is the last record of Alice: it may be that her death was anticipated. While John de Rochford’s favour with the royal faction does not appear to have returned to pre-1394 levels, his influence within Lancastrian circles was greater than ever. By the time of John of Gaunt’s death on 3 February 1399, John de Rochford had become steward of the duchy of Lancaster’s honour of Bolingbroke, which was headquartered at Bolingbroke Castle about fifteen miles north of Fenne. This was where Gaunt’s exiled son, Henry Bolingbroke, was born. With Gaunt’s death, his retainers might have expected Henry Bolingbroke to inherit the duchy and all that went with it. But King Richard II had not yet had his fill of revenge, and he took the opportunity to dispossess the young heir. It was a tyrannical move, and it triggered a crisis that would end Richard’s reign within the year. In July Henry set sail from France with a small army on the precept of reclaiming his inheritance. He landed in Yorkshire, where he could count on the support of many family retainers, and as he marched south his numbers swelled. By 1 September Henry had Richard II locked up in the Tower of London. Sir John Bussy, for his part in the tyranny, was summarily beheaded by Henry’s supporters at Bristol Castle. The hastily convened 1399 parliament at which King Richard II was formally deposed and Henry Bolingbroke established his claim to the throne. John de Rochford the Younger was one of the two Lincolnshire representatives at this parliament. From Jean Creton’s La Prinse et Mort du Roy Richart, c1401 (BL Harley MS 1319, f. 57r). Official accounts state that on 29 September Richard II “voluntarily” abdicated, while a hastily convened one-day parliament formally deposed him the next day at Westminster. John de Rochford and Sir Thomas Hauley were present as Lincolnshire’s representatives. Henry Bolingbroke summoned a parliament of the same representatives to start six days later, during which he secured his claim to the throne, and he was crowned King Henry IV in Westminster Abbey on 13 October 1399. So it was that the Rochfords’ new patron became king. John would certainly have been present for the coronation. The deposed King Richard, meanwhile, was relocated to Pontefract Castle, where John’s father Sir Sayer de Rochford had been imprisoned almost eighty years before. Richard is said to have starved to death in captivity around February 1400. The Rochfords appear to have played a valuable role in Henry’s bid for the throne, since royal appointments and rewards soon began to pour in. John de Rochford was knighted, probably during the October-November 1399 parliament, and in stark contrast to his marginalised years under Richard II, he would now be at the centre of royal administration in Lincolnshire for rest of his life. Records of John’s activities from this time have noticeably less to do with Boston and mercantile issues – he ceased to be alderman of the Guild of Corpus Christi – and rather more to do with supporting the new Lancastrian regime, which was beset by rebellion from all sides. On 28 November 1399 John and his nephew Sir Ralph Rochford were appointed as justices of the peace in the Parts of Holland and Kesteven respectively. In December they and Henry Rochford, the son of John’s late older brother Sir Ralph of Walpole, were appointed as commissioners of array in Lincolnshire and Norfolk. They must have aided the king in putting down the Epiphany Rising of earls loyal to King Richard, all of whom were captured and summarily executed in January 1400. One of these was Thomas earl of Kent – on 18 February John was rewarded with the stewardship of all his seized estates in Lincolnshire. The following month, on 17 March 1400 John was given the delicate task of recovering and restoring goods and chattels “of no small value” that belonged to King Henry IV’s friend and ally Thomas Arundel, archbishop of Canterbury, and had gone missing after the archbishop fled into exile in 1397. In August “Sir John de Rochefort knight” and his nephew Henry, now also knighted, joined the king’s expedition to Scotland as captains, with two men-at-arms and twenty archers under them. But John was back by November when the royal administration issued several commissions to him and William Gascoigne to handle disruptions on the Bolingbroke estate, of which John was still the steward. By the end of the year John was appointed as sheriff of Lincolnshire. On 11 May 1402 John and other leading Lincolnshire knights were sent instructions to “arrest and imprison all persons preaching such lies … that the king has not kept the promises he made at his advent into the realm”. They were to proclaim clearly the king’s intention to rule justly, and ensure everyone understood that subversion would not be tolerated. Meanwhile, a rebellion was fomenting in Wales under the leadership of Owain Glyndŵr, and on 7 August John was instructed to array the men of Lincolnshire and send them to Shrewsbury to “resist the malice of Owen Glyndourdy and other rebels”. In October the king, who was in urgent need of funds, sent letters to John and other knights across the country requesting that they raise a “benevolence” from their home counties. By summer 1403 the Welsh were in full revolt with the support of both Sir Edmund Mortimer, whose nephew of the same name had a strong claim to the throne against Henry IV, and the rebel earl of Northumberland, Henry Percy, who brought the Scots in on the action. On 21 July 1403 Percy’s son Harry “Hotspur” was killed at the battle of Shrewsbury. A few days later, on 27 July, the king sent instructions to John de Rochford and others to “assemble all knights, esquires and yeoman” and “bring them to the king in person at Pontefract … to go with him against Henry earl of Northumberland, who has risen in insurrection in the county of Northumberland … and is directing his steps south to destroy the king and his lieges.” In August and September these commissions of array were repeated with fresh urgency as “the king’s enemies … have lately invaded the realm”. Towards the end of the year the king’s Privy Council summoned John and many other lords and knights of the realm to a Great Council, presumably to discuss the rebellion. Parliament early the next year consented to a new tax “in consideration of the wars in Scotland, the rebellion in Wales, the safeguarding of the sea” and much else besides, for which John de Rochford was appointed as a controller and collector in the Parts of Holland and the Isle of Ely. Percy was still at large in June 1405 when the king sent John instructions to send urgent supplies to him and his army at Newcastle. They were heading “north to punish Henry earl of Northumberland”, who was entrenched at Berwick. They needed 30 tuns of flour, 25 tuns of wine, 2000 fish, 100 quarters of oats and 140 quarters of beans and peas, from Lincolnshire alone. The following month the French sent forces to aid the rebels in Wales, and simultaneously invaded English-owned Aquitaine. John was among those commissioned to raise a loan to support the costs of the erupting war – the king desperately needed money “to pay the wages of men-at-arms and archers, both those who are to remain in Wales … and those who are to set out for Aquitaine”. In November John was commissioned with William Gascoigne, who was now chief justice of England, to try a large group from Lincolnshire accused of treason. In 1406 John got into a violent altercation of some kind with Robert Kerville. On 29 April he was bound over to do no harm to Kerville, for which Walter Tailboys, John Coppledike, Frederick de Tilney and John Skipwith stood as sureties for him. Curiously, only ten days before this John’s nephew Sir Henry Rochford and Robert Kerville had stood surety for one another, that Henry would do no harm to John Gauthorp, Walter Godard of Terrington and William Maysoun, and that Kerville would do no harm to William Lovell and Robert Falyate. Whatever the nature of this fight, it was not serious enough to stop John from being reappointed as a justice of the peace for Lincolnshire that year. But otherwise he appears to have taken a brief step back from front-line support for the Lancastrian regime to focus on a personal passion for history and literature. There are two manuscripts in the British Library that were written by Sir John de Rochford around this time. The first, completed in 1406, is a series of extracts from Josephus’ history of the Jewish people written around the year 93 or 94 AD. It has a mouthful of a title: Notabilia Extracta per Johannem de Rochefort Militem de Viginti et Uno Libris Flavii Josephi Antiquitatis Judaice, or in English, Notables Extracted by Sir John de Rochefort from Flavius Josephus’ Twenty One Books of Judean Antiquity. The second, probably completed soon after, is an index to Matthew Paris’ Flores Historiarum or Flowers of History, a chronicle of history from the creation to 1306. By May 1407 John was no longer steward of the honour of Bolingbroke, but from October to December that year he was back in parliament, this time having been elected to represent the county of Cambridge. Other than one commission of the walls and ditches there in 1392 and another in March 1407, his only known association with that county was as constable of Wisbech Castle, so perhaps his patron for that post, the bishop of Ely, had some part to play in his election. Their relationship appears to have evolved over the years, as in 1404 John was also acting as a justice for the bishop’s treasury. For the last few years of his life John turned his attention back to his hometown of Boston, and also to Lincoln. He was appointed as sheriff of Lincolnshire in 1409, and elected for one final stint as alderman of the Guild of Corpus Christi – a post he had first been elected to in 1381. He continued his work as a justice of the peace and on commissions of the walls and ditches in Lincolnshire, and no doubt his responsibilities as constable of Wisbech Castle kept him busy too. In addition, in 1410 John was appointed as keeper of Lincoln Castle, and also as one of the “justices of the survey and custody of the rivers” in Cambridgeshire and Huntingdonshire. One of the surviving fragments of Sir John de Rochford the Younger’s personal work, Extracts from the Chronicles of the Church of Chester … to the Year 1410, which is when he died. The manuscript was severely damaged in a fire – what little remains is now in the British Library. Copyright the British Library Board (Cotton MS Vitellius D XII, ff 1–28). John still found time to continue his scholarly work around this. There was a third manuscript of his, entitled Extractum Chronicarum Cestrensis Ecclesiae per Johannem Rocheford, a Christo nato ad annum 1410 – in English, Extracts from the Chronicles of the Church of Chester by John Rocheford, from the birth of Christ to the year 1410. These were the chronicles started by Ranulf Higden and now called Polychronicon, which ran up to 1357. Perhaps John wrote his own entries from that date onwards and updated it each year until he died. It has been said that this manuscript was destroyed in a fire – fragments of it do survive today in the British Library, but they are severely damaged. John went on to detail various bequests to St Paul’s in London, the shrine of St Alban, the shrine of St Hugh of Lincoln and the shrine of St Ives at Ramsey in Cambridgeshire, and also funds for the fabric of Lincoln Cathedral and priests there. Interestingly, there are no gifts to the churches of Boston or John’s ancestral home at Fenne, but he left to Stoke Rochford church a “vessel of gilt copper… to bear the body of Christ on the feast of Corpus Christi”. Other than his wife, John did not mention any family members in this testament. Instead he referred to a separate last will, of which there were two copies: one in his own possession, and another in the possession of his principal executor, John Southam, who was a canon of Lincoln Cathedral. John de Rochford also wrote that he intended “by divine permission to make codicils for legacies to both friends and servants”. Sadly, no copies of this will or any codicils are known to have survived. There are no other records of William de Rochford, but we can deduce that he died childless some time between May 1401, when his father became constable of the castle, and 1411 or 1412, when his father’s only surviving heirs were William’s sisters Margaret and Joan, and his late sister Alice’s eldest son. John de Rochford’s maternal uncle Sir Roger Hillary had died childless in 1400, so the Hillary inheritance was to be split between the heirs of Roger’s two late sisters, Joan and Elizabeth. Joan’s heir was her son John de Rochford the Younger, while Elizabeth’s heir was her daughter Elizabeth de la Plaunk, who was by this time married to her fourth husband, Sir John Russell of Strensham. The valuable Hillary inheritance included manors at Bescot, Aldridge and Fisherwick in Staffordshire, and Stretton on Fosse in Warwickshire. But Roger Hillary’s widow, Margaret, was still alive, and the property was not shared out until after she died on 27 April 1411. Since John de Rochford and his only son William were also both dead by this time, the Rochfords’ share of the inheritance was to be shared between William’s three sisters – or in Alice’s case, her son. Around 1394 John arranged the marriage of his daughter Margaret to Frederick de Tilney, the son of his late friend Philip de Tilney. Frederick and Margaret were both minors, since John’s part of the marriage agreement involved him maintaining them. Margaret herself cannot have been more than twelve years old, since another inquisition identifying John’s heirs in 1422 reported that she was in her thirties at that time. For their part, Philip de Tilney’s executors and trustees contributed a manor at Little Thetford near Ely, Cambridgeshire, into the bargain, which John was to hold on behalf of the married couple for eight years, suggesting that Frederick was perhaps about thirteen years old. Frederick and Margaret were both still alive in 1404 when John’s nephew Sir Ralph Rochford, who had become a trustee to the property, appointed attorneys to help the couple protect their property in a legal battle. By the time of the 1422 inquisition, however, Margaret was a widow, and she was still alive in 1434. John’s second daughter, Alice, married William Gibthorp, but she had died by 1412 and her heir was their son John Gibthorp, who was still under age. By the time of the 1422 inquisition, John Gibthorp had also died and and his heiress was his only child Elizabeth Gibthorp, who was just one-and-a-half years old. John de Rochford’s third daughter, Joan, was married to Robert Roos of Gedney in Lincolnshire, by 1412. John and his nephew Sir Ralph Rochford had been given the wardship of the young Robert Roos and his inheritance after his father Sir James Roos died in 1403. By the time of the 1422 inquisition Joan had died and her heiress was her only child Margaret Roos, who seems to have been somewhere between about six and eleven years old, depending on which account is to be believed. With the death of his son William, John de Rochford the Younger’s branch of the family name ended. But it would continue for several decades through his nephews Sir Ralph Rochford of Fenne and Sir Henry Rochford of Walpole, and their children.